First, thank you for visiting UglyFishing.com. 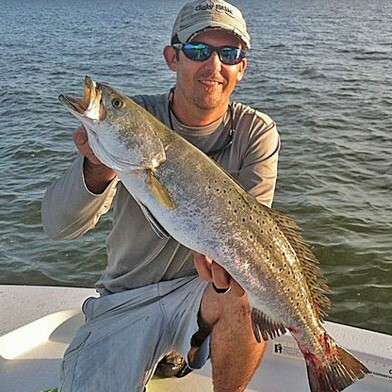 As a Dauphin Island fishing guide fishing has always been a passion of mine and I like to share my knowledge with others that are passionate about fishing. I am a native Mobile Bay fisherman. My mother and father taught me how to fish at a very young age and I love fishing as much now, as I ever have. I live and raise my family in Daphne, Alabama. My wife and I graduated from Daphne High School which is where our daughter now attends school. My professional fishing career was always a dream of mine. I would watch fishing shows as a child and as a young adult, I would tell myself that I would me making a living fishing one day. The first step towards bettering myself as an angler was when I joined the largest inshore fishing club in Alabama. The Alabama Coastal Fishing Association aka ACFA was the best thing that I ever did to improve my knowledge of Mobile bay and surrounding water ways like Dog River, Fowl River, Mobile River, Blakeley River, Tensaw River, Fly Creek, Fish River, Magnolia River, Bon Secour River and the Intracoastal Waterway. Learning all the different areas has been a ton of fun and has allowed me to be able to meet some really good people and fisherman along the way. 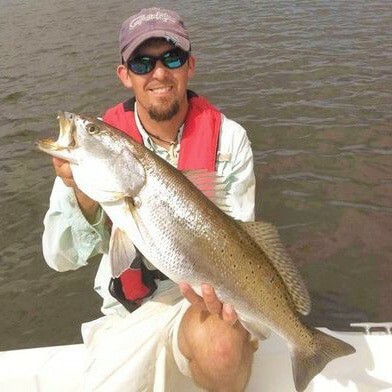 Guided fishing trips in the rivers and creeks of the Mobile Bay watershed. Common inshore fishing trips to Weeks Bay, Mississippi sound, Oyster Bay, Bon Secour Bay, Grand Bay, and the entire causeway area. Mobile Bay has a lot to offer all of my fishing clients. We have numerous pick up and drop off locations all around Mobile Bay. 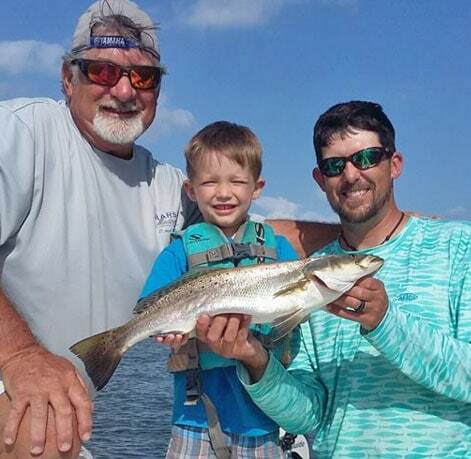 Guided fishing trips Daphne, Fairhope, Point Clear, Montrose, Historic Spanish Fort, Gulf Shores, Historic Fort Morgan, Dauphin Island, Theodore, Bayou La Batre, and Mobile. As a Dauphin Island Fishing Guide and USCG licensed inshore charter captain, I take great pride in making sure fishing clients are safe and have an enjoyable time while fishing mobile bay aboard the Ugly Fishing Trition 240 LTS powered by a powerful and reliable Yamaha 250 SHO fourstroke motor. Learn more about our boat here. Click here to view our custom fish species calendar to ensure you are booking a trip during the right time of year for your targeted species.